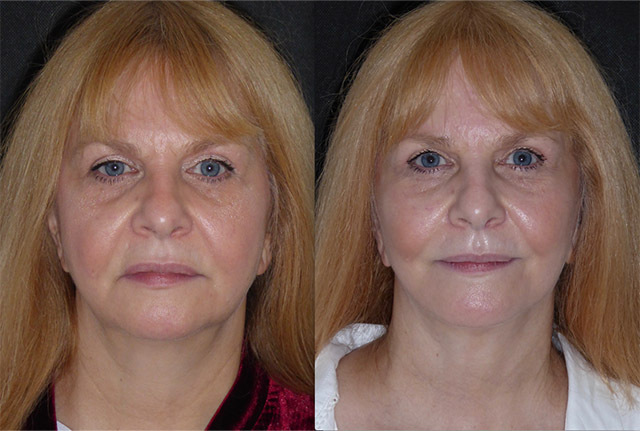 Having previously had successful rejuvenation or her eyelids, Christine sought my advice about her lower facial third and neck. 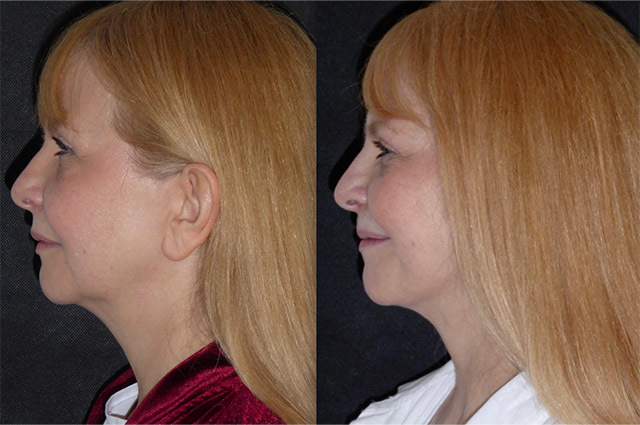 Despite having a nice high voice box the descent of muscle fat and skin was blunting her neck chin angle. 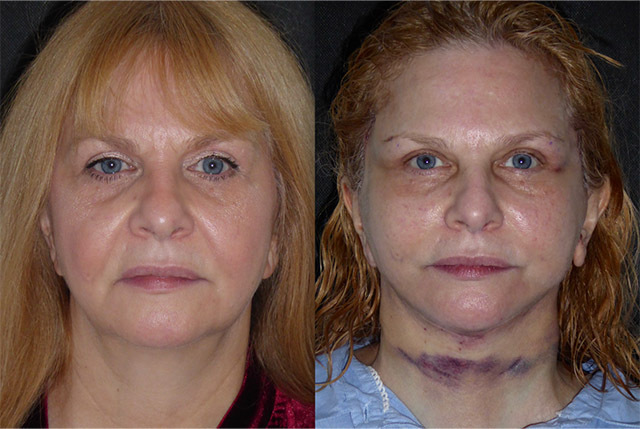 To address this I suggested a face and neck lift and liposcultpure. 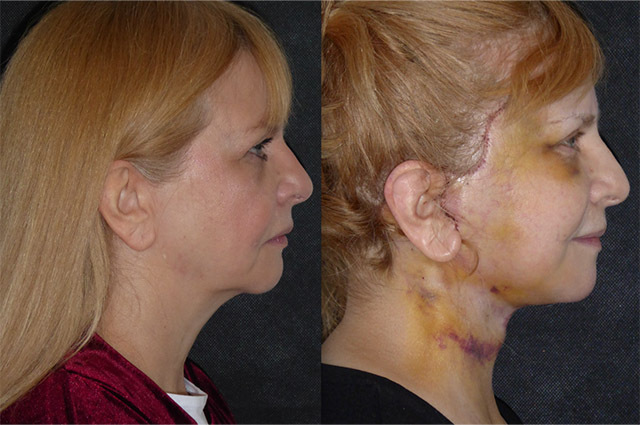 As her Platysma muscle was intact in the midline we decided not to do a platysmaplasty as I felt I could address the neck fat from the lateral facelift incision. 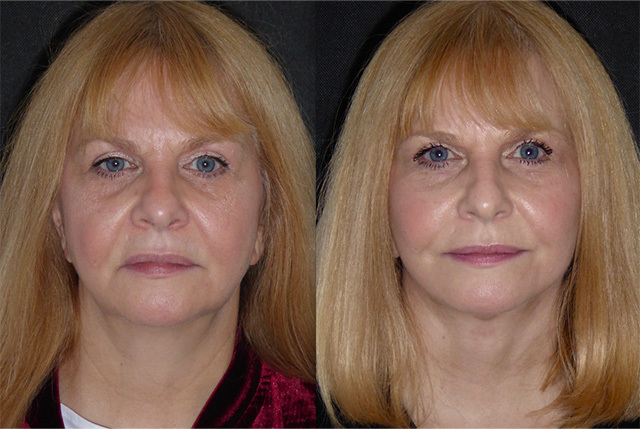 We also planned a lateral brow lift to help redefine the mid face and restore her previous upper eyelid rejuvenation. This is her journey. 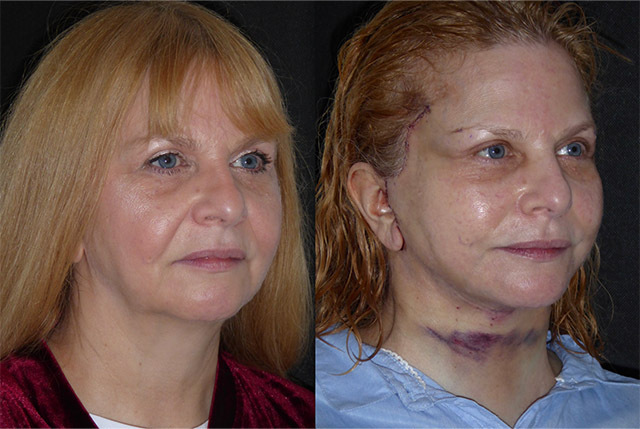 Christine's surgery went really well yesterday but it was trickier than expected. 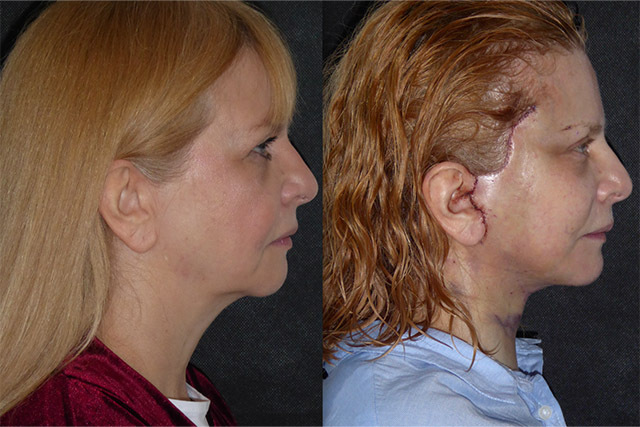 After sculpting down the fat accumulation I was unable to completely access the area directly under the chin. Mid operation I made the decision (with Christine’s sedated permission!) 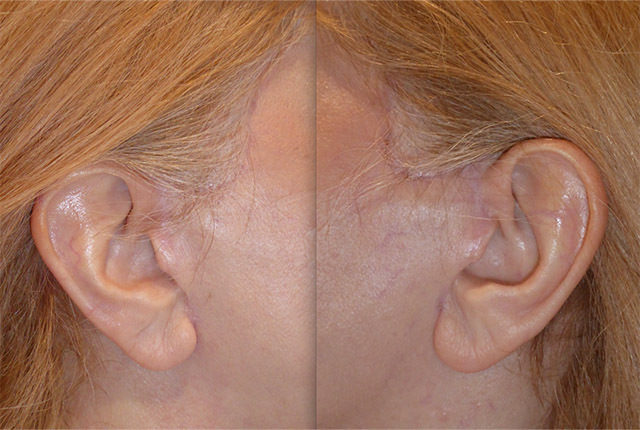 to make a small incision under the chin to clear this area. 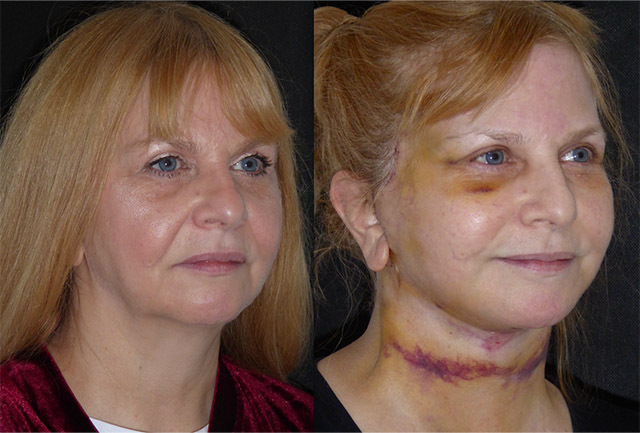 I always take consent prior to surgery to do what is necessary to get the best result as I wont settle for ‘ok’ - I have to know that I can do no more when I put the final skin stitches in. 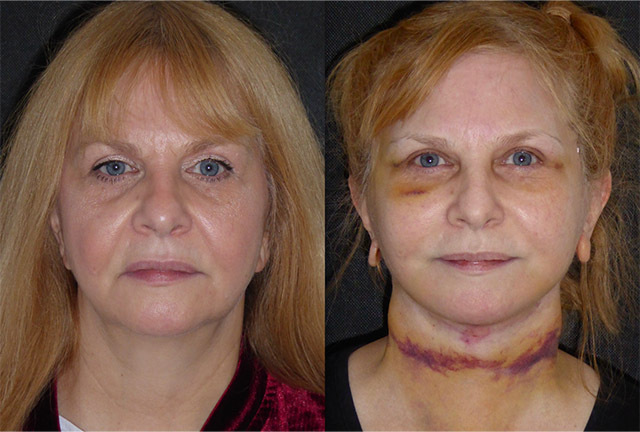 The consent allows me to do additional procedures is necessary to obtain the best result. Christine will be more swollen and bruised than I anticipated but I think it will be well worth it. 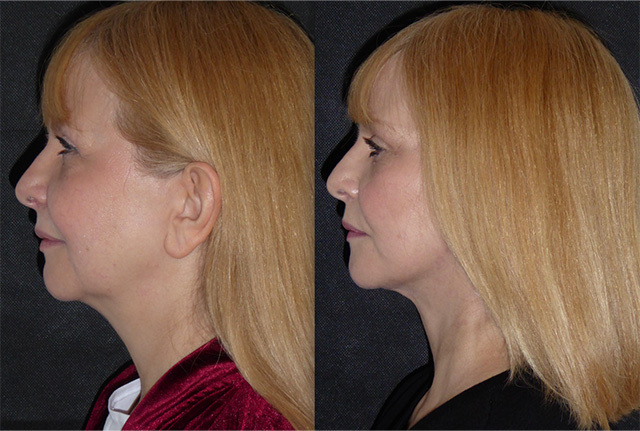 Certainly her very early result is showing a lovely improvement in the mid face, jaw and neck lines. Christine is back for review a week after surgery and healing brilliantly. She has a pretty impressive bruise on her neck I suspect from the support garment on a little tight but it will go yellow and fade like the rest over the next week or so. 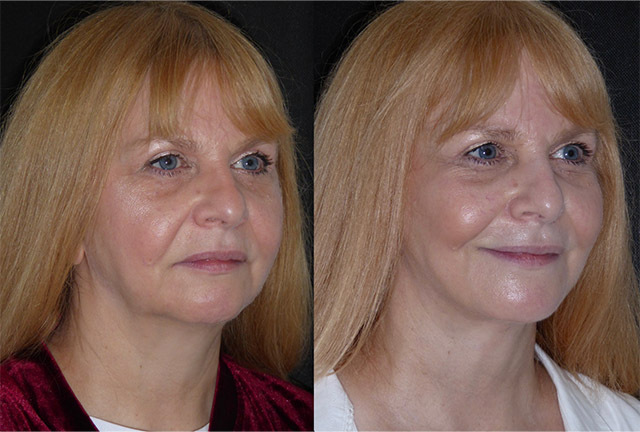 Result wise the is looking fantastic for this stage, swollen but a beautiful facial shape emerging with lovely mid facial volume and a nicely defined neck and jawline. Christine asks me if she is now a Bray babe and I certainly think so! Just a month after Surgery Christine is back for a check up. Totally re-energised she looks and feels fantastic. 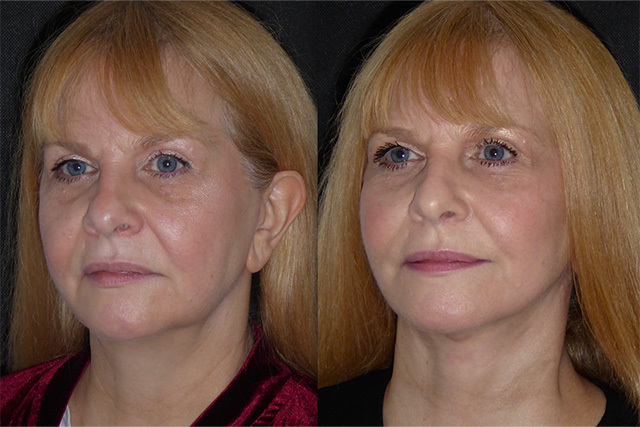 Swelling is going down nicely to leave a beautifully rejuvenated facial shape. 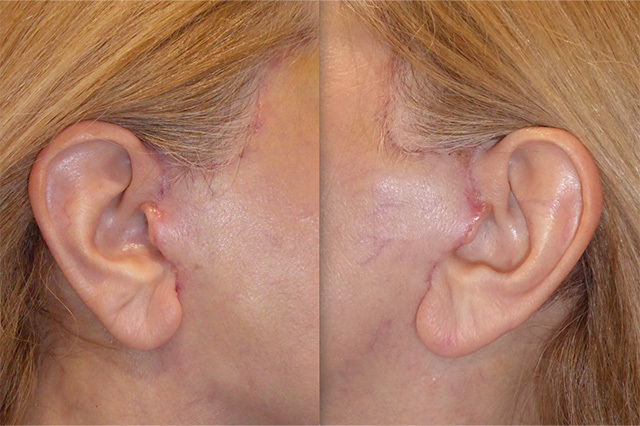 Incisions are still a little red but with in the spectrum of normal for this stage. Christine is back to see me for her 3 month review looking brilliant. Well healed now, her face has settled into it’s newly rejuvenated position. Incisions have settled and all is healing nicely now. A really lovely result for her.